UK-based legal AI company, Luminance, has just closed a $10m Series A funding round that values the company at $50m. The investment was led by Talis Capital, and also included Invoke Capital and Slaughter and May, with the top UK law firm having already made an earlier investment in the AI company around the time of its launch last year. 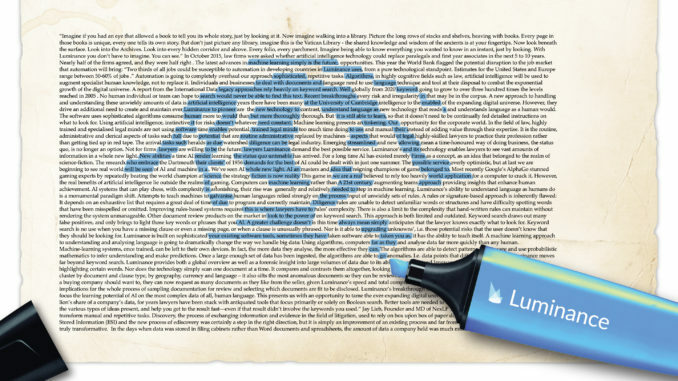 Invoke, headed by former Autonomy founder, Mike Lynch, has been the driving force behind Luminance from the beginning and provided significant funds for the company’s growth. Talis, has also been an early investor in Luminance, back in December 2016 when the company was valued at $20m. In effect this new round of funding primarily marks an increase in commitment and support from several of the existing shareholders. Luminance said it will use the funds to expand its operations to meet increasing global demand, including supporting its newly-established North American headquarters in Chicago. The news comes as the due diligence-focused company has brought in the former head of the UK’s domestic secret service, MI5, to help with digital security issues. 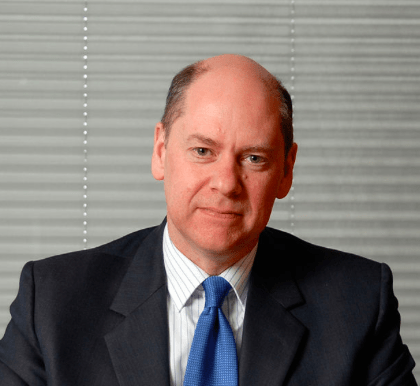 Lord Jonathan Evans of Weardale will play a key role in terms of reassuring clients on data-related matters, a topic that often comes up among law firms who understandably can be a bit paranoid about how AI companies process clients’ highly valuable deal data. The multiple developments mark a busy time for the company, which only launched in September 2016. Luminance has now been deployed in over 50 organisations worldwide and has been used to assist with over 200 live transactions to date. The company has also seen almost a fourfold employee growth within one year, it said.